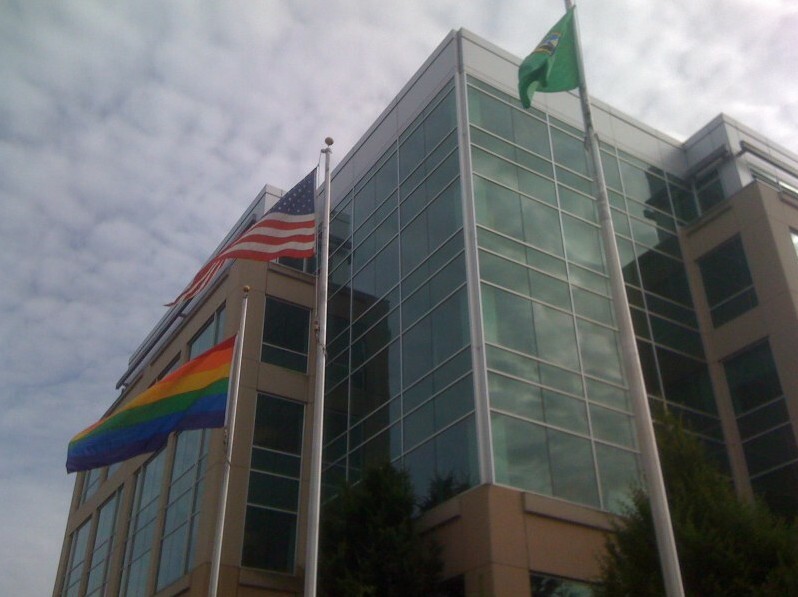 Photo taken of flags raised in front of the Microsoft Sammamish Campus in Issaquah, Washington. The flag on the right is the flag of Washington State, the one in the center is the American Flag, and most notably the one on the left is the flag of Microsoft's own GLEAM. Последний раз редактировалось 6wings; 23.03.2016 в 04:15.